Known as a conductor, pianist, arranger and composer, Peter Breiner has conducted, often doubling as a pianist, Royal Philharmonic Orchestra, Bournemouth Symphony Orchestra, New Zealand Symphony Orchestra, Jerusalem Symphony Orchestra, Vienna Mozart Orchestra, Hungarian State Radio Orchestra, Nicolaus Esterhazy Orchestra Budapest, Polish Radio and TV Symphony Orchestra, Ukrainian State Symphony Orchestra, Moscow Symphony Orchestra, Slovak Philharmonic Orchestra, Slovak Radio Symphony Orchestra, Capella Istropolitana, Queensland Symphony Orchestra, Orchestra National de Lille, France, and Hong Kong Philharmonic Orchestra, to mention just a few. He is one of the world's most recorded musicians, with over 200 CDs released and over 2 million albums sold and uncountable streams/downloads mostly stolen. Some of his most acclaimed recordings include Beatles Go Baroque (over quarter of million CDs sold worldwide) and Elvis Goes Baroque representing the collections of his commercially most successful Baroque arrangements together with Christmas Goes Baroque 1 and 2. The follow-up to this bestseller - Beatles go Baroque Again was recorded in December 2018 with some of the best soloists in the world. The release is expected in Spring of 2019 on Naxos label. His arrangements of national anthems of ALL participating countries were used during the Olympic Games in Athens in 2004 and illegally in Beijing in 2008. He recorded his own arrangements of the anthems of the participating countries of the Rugby World Cup 2011 and a new 10 CD set of the National Anthems of the World 2013 Edition was written to coincide with the 2012 Olympic Games in London and was released in July 2013 by Naxos. Peter recorded his own arrangements of Mussorgsky's Pictures at an Exhibition, Songs and Dances of Death and The Nursery and Tchaikovsky's Operatic Suites from The Voyevoda and The Queen of Spades for Naxos. These recordings, with the New Zealand Symphony Orchestra and conducted by Peter, are the subject of a movie documentary entitled Bask. In addition, September 2012 saw the much anticipated release of Peter's own arrangements of Debussy's 24 Piano Preludes also for the Naxos label and to much worldwide critical acclaim. 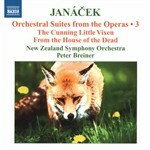 The world premiere recording for Naxos of his own arrangements of Janacek’s Six Operatic Suites with the New Zealand Symphony Orchestra and himself conducting earned similar acclaim, Gramophone stating “ Splendid disc .... conducted with passion and sympathetic understanding .. “ the Chicago Tribune adding “ Breiner fills the void with beautifully crafted symphonic suites based on the music of Jenufa”. All of these albums achieved places on worlwide Top Seller and Best Recording lists. 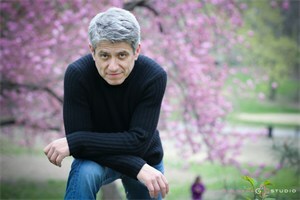 His trio, Triango’s latest album was released in the fall of 2011 by First Impression Music. Premiered live in July 2013 was the music for a huge Transmedia project to consist of audio recording, several interactive videos, and audience-involvement platforms – Slovak Dances, Nasty and Nice. This project is based on Peter’s own 100 minute orchestral suite of dances which was recorded by Slovak Philharmonic Orchestra with the composer conducting in September 2018, with expected release in early 2019. It was performed at the Carnegie Hall in New York in December 2016 and also performed as a ballet at the Slovak National Theater for three seasons. Peter also conducted Prokofiev's Romeo and Julliet for two seasons there and the same company commissioned a full length ballet based on a novel by Mikhail Bulgakov Master and Margaret for their 100th season in 2020. For 2021, Peter is scheduled to conduct Tchaikowsky's Swan Lake, mounted by one of the world's top choreographers, Alexei Ratmansky. 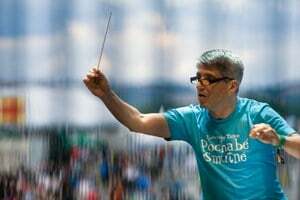 In general, Peter's music, whether his own or his arrangements, has been used by choreographers at numerous remarkable ballet companies (American Ballet Theater, Houston Ballet, Royal Ballet (GB), Balet Jorgen Canada, Queensland Ballet, Ballet am Rhein and many others). Peter's compositions and arrangements have been played in concerts worldwide. Films that include his musical scores have enjoyed very wide international exposure (such as Anne of Green Gables , Timothy Findley's Piano Man's Daughter , produced by Whoopi Goldberg, and The Magic Flute ) and his music has been featured many times on the most popular TV shows (including CBC television show Wind at My Back and a CBS movie Seasons of Love ). It is difficult to assign a title to this artist - is he the conductor who composes or is he the pianist who arranges? As he simply states, "I am a musician". In this age of high specialization, it is not so easy to find someone who, with the same ease, takes the podium for a popular light classics concert, plays/directs from the piano, conducts a symphonic orchestra in Barber or Janacek or in a program of his own arrangements, a chamber orchestra with baroque programme while playing harpsichord or a group of almost 200 musicians recording a score for Universal Studios' movie. 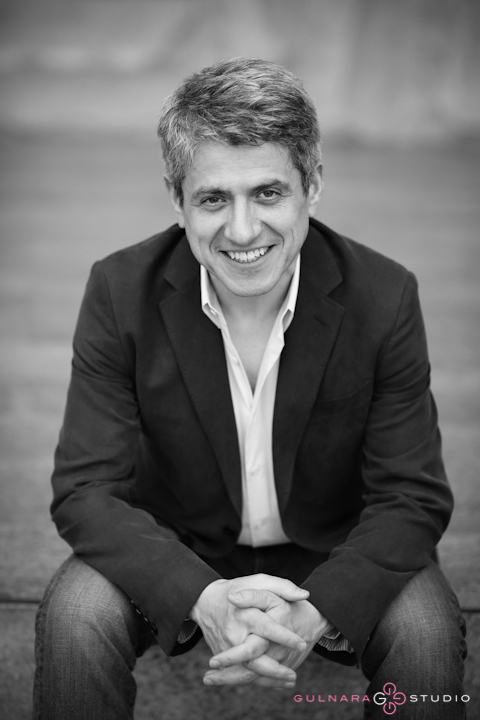 Peter is the curator of “Sounds of Serendipity” – a series of Contemporary Classical Music Concerts featuring new and emerging composers and performers with a unique connection to both Peter and Czechoslovak music culture. The annual series is presented at the Bohemian National Hall, New York. Peter began to study piano in his early childhood (1961) and his exceptional artistry led to his early acceptance at the Conservatory in Kosice (1971). He studied piano (L. Kojanova), composition (J. Podprocky), conducting and percussion. In 1975-1981 he studied composition at the Academy of Performing Arts in Bratislava (former Czechoslovakia) with Prof. Alexander Moyzes, one of the most significant figures in modern Slovak music - and this way he became a compositional great-grandson of Antonin Dvorak. Peter Breiner lived in Toronto, Canada since 1992 till 2007 when he moved to New York. He is proficient in seven languages. He has hosted various TV and radio programs about music, in 1993 he was a co-host and music director of the most popular TV talk show in Slovakia, attracting over 2 million viewers in a country with a population of 5,5 million, has his own column in one of Slovakia's most influential weekly newspapers, while his first book "Maple Leaves" came out in April 1998 and became a No.1 non-fiction national bestseller immediately. In 2016 he published his second book "Isn't There Another Globe?" In 2018, Peter Breiner was awarded the highest state order (Rad Ludovita Stura) by the President of Slovak Republic.